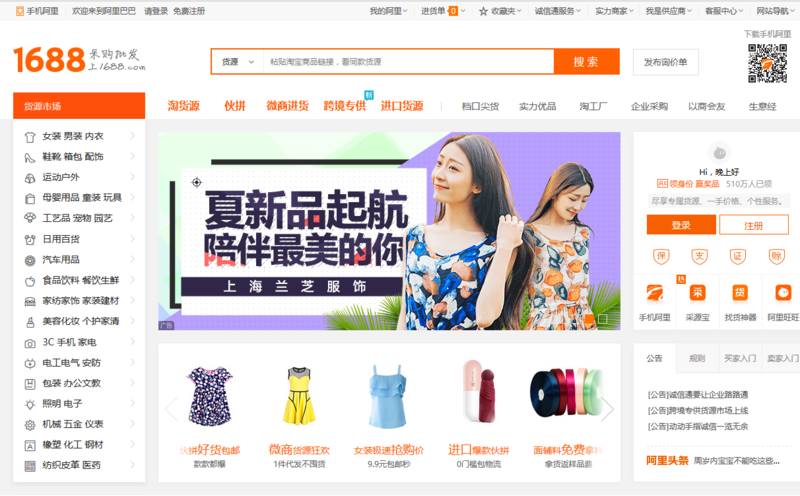 1688.com is also called Alibaba.cn, is one of the best wholesale website in-land China. The prices of goods on 1688.com are far less than they were on Aliexpress, Dhgate and other well known china stores. Many sellers from other platform like aliexpress, Dhgate buy the items from 1688.com and sell them in retail. How to buy from 1688.com? you can use su as 1688 agent, and can just simply submit the URLs from 1688.com to the shopping cart at taobaotrens.com. Where to find the lowest wholesale price? Many people in the world knows Alibaba.com, which can meet the most people sourcing needs, it’s easy for them to find the cheap and reliable supplier at this site. However, does anyone wonder where the products come to Alibaba.com? when you find a product on Alibaba.com, its most likely that the suppliers purchased the products somewhere else in China, if so, where wholesale platform they purchase? Why not go directly to the factory by yourself to cut off the cost? You can get the answer if you know 1688.com, many many suppliers at Alibaba.com purchased the products from 1688.com and sell them to you at higher price. We're reliable 1688 agent, the service fee keeps the same with taobao shopping service. Various products with wholesale price, many taobao sellers, ebay sellers or aliexpress sellers buy the stocks from 1688.com, you can beat your competitor with lower prices. 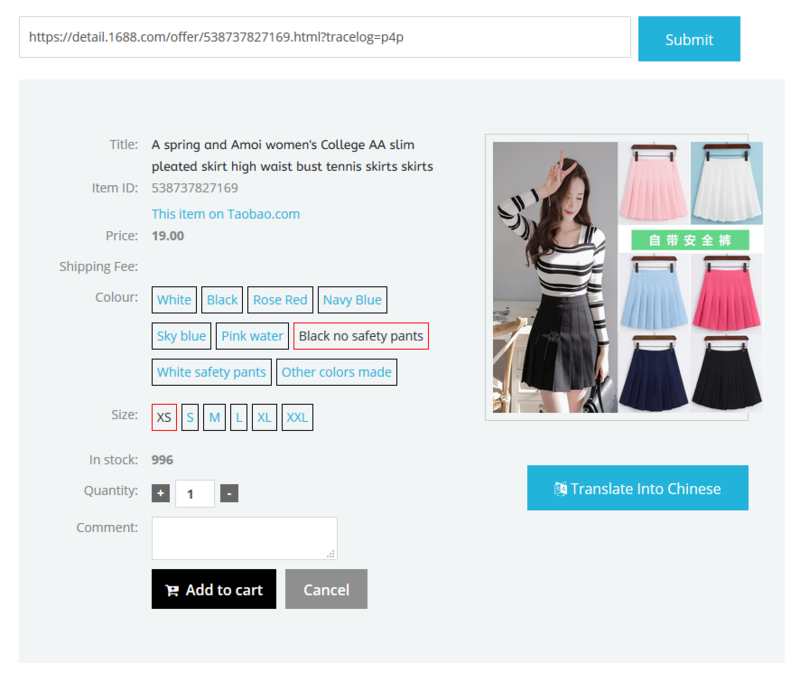 Most sellers at 1688.com are wholesellers, many items have minimum quantity restriction, the sellers are not as active as taobao sellers, sometimes, it's a disaster to contact them.